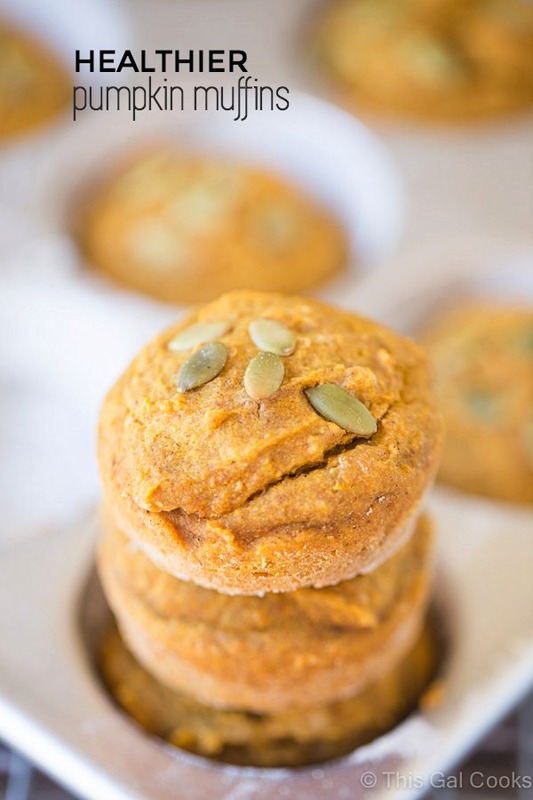 First I made these Butterscotch Pumpkin Muffins. Then I made these Pumpkin Swirl Pancakes with Pumpkin Butter Topping. I thought it was time for a healthier pumpkin breakfast recipe so I made these Healthier Pumpkin Muffins. I’ve teamed up with Pompeian to create delicious recipes with Pompeian products. 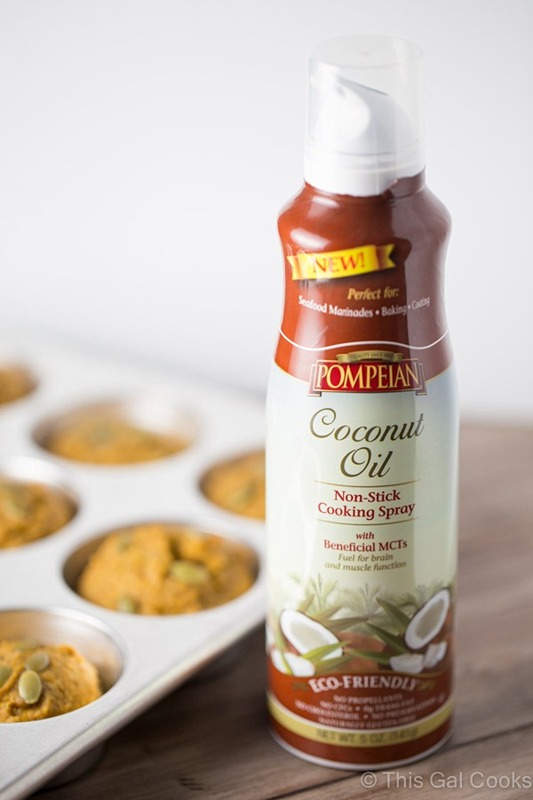 As a #PantryInsider, I was sent the new Pompeian Coconut Oil Cooking Spray to try out. This cooking spray is part of Pompeian’s new line of cooking sprays. What I like about this spray is that it’s light, contains no propellants and has a smoke point of 420 degrees. It’s great for baking. I used it to grease the muffin cups when I made these muffins. Worked like a charm. These muffins didn’t stick to the pan at all! You won’t find any refined sugars or butter in these muffins. I used honey to sweeten them and coconut oil as the fat. Many muffin recipes contain dairy milk. I used unsweetened vanilla almond milk in my recipe. I also replaced 3/4 cup of the all-purpose flour with whole wheat flour. 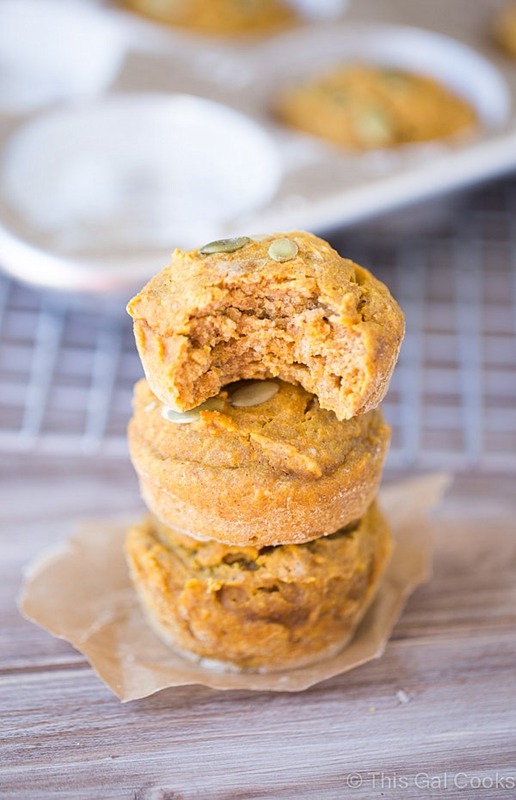 Whole wheat flour gives these muffins an extra boost of nutrients. These muffins remind me of a biscuit. They’re dense but soft and more savory than sweet. They’re perfect for savory breakfast lovers like me. If you have a sweet tooth, drizzle with a little honey for a boost of that sugary sweet taste you crave. Preheat oven to 375. Lightly spray 12 muffin cups with coconut oil cooking spray. Lightly dust with flour. In a large mixing bowl, combine flours, salt, baking powder and pumpkin pie spice. In another mixing bowl, whisk together the almond milk, egg, coconut oil and honey. Add to the dry mixture along with the pumpkin puree and applesauce. Mix with a spoon until well incorporated but do not over mix. The batter should be lumpy. Fill each muffin cup ⅔ full with the batter. I used a cookie scoop to spoon the batter into the muffin cups, It makes life so much easier. Top each muffin with a few pepitas, if desired. Bake at 375 for 20 minutes or until a toothpick inserted in the center of a muffin comes out clean. I’m a member of the Pompeian #PantryInsiders. This recipe was written on behalf of Pompeian. However, all opinions and recipes are my own. Try these Pompeian recipes from my favorite food bloggers. Apple Cider Donuts from It Bakes Me Happy. Easy Crunchy Coleslaw from A Zesty Bite. Olive Oil Fudge Brownies from Alida’s Kitchen. Try these recipes made with Pompeian Products. Thank you, Raquel! I love using coconut oil in my recipes! Wow, these muffins look great, Julie! 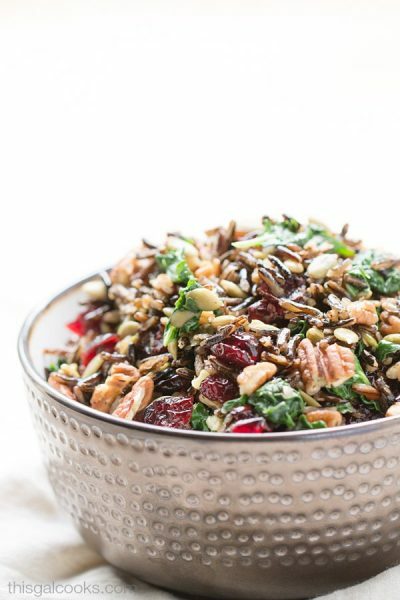 I love the seeds on top! Now I am craving one for an afternoon snack. I <3 these muffins! Can't remember the last time I made anything in a cupcake/muffin shape (but I really love cute food). Hi Julie- Your muffins look so good, and I like that you baked them without regular sugar. You’re welcome, Joanne! Thanks for stopping by! These look delicious and soft! I’m impressed how healthy they are compared to normal sugar packed muffins. And, that spray is awesome. I’ll have to check and see if our store has it. Thank you, Bri Hope you can find the spray! Oh I will have to try it with the eggs next time I make them. I haven’t made any eggs since I got the spray! Thanks for stopping by, Carrie! These look great Julie! I love that they are a healthy breakfast option too. These muffins look awesome. 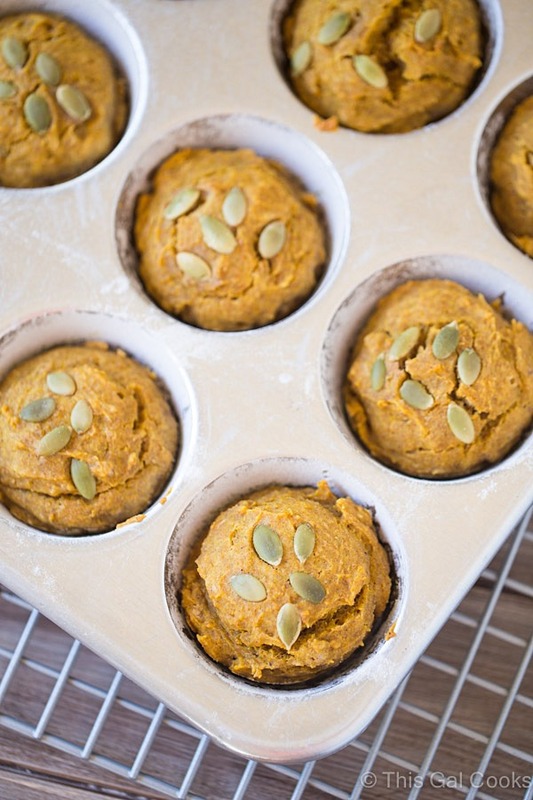 Both healthy and delicious, these muffins are perfect…thanks for sharing! I love pumpkin muffins Julie and I love that you put seeds on top. I cannot wait to try the coconut oil spray! Thank you, Emily! I think you will like the coconut oil spray! These look awesome, Julie! I love the ingredients in these! And they’re so cute w/ the pepitas! I love these muffins, great recipe Julie! Coconut oil cooking spray sounds awesome! 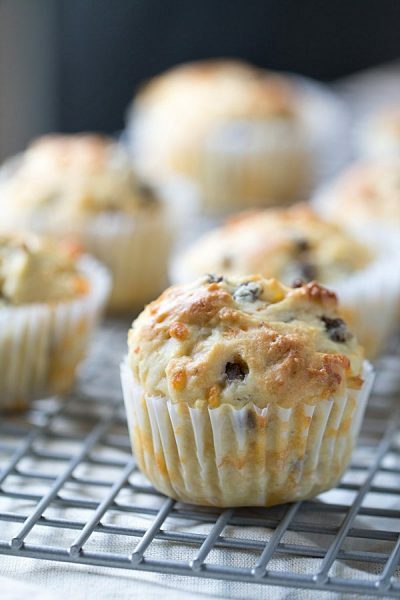 But these muffins are even more – soft, dense, and sweet are the trifecta for the perfect muffin! Throw in some pumpkin and you have me sold. The honey is a great choice too! Thank you, Mary Frances! I enjoyed these little gems for breakfast all week last week! Such a treat – and a healthy one, too! These look great! I love that Pompeian has coconut oil in a spray! !